That right. We are all Myanmar peoples must to unity and prevent for our country. That Right. 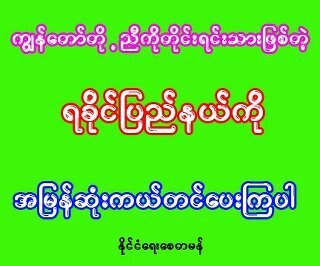 We are all Myanmar Peoples must to unity and prevent our Country.